After years of working in other wine related careers Olivier Varichon and Emmanuelle Vinci committed to settling down and establishing a domaine in Estagel, in the heart of the Roussillon where they could tend to the vines and make organic wine on their own terms in a beautiful and rugged landscape. Today the two organically farm 6 hectares of very isolated vineyards on rocky soil entirely by hand. A blend of 75% Maccabeu, 15% Carignan Blanc and 10% Grenache Blanc from a 1 ha plot of 40 year old vines growing on clay/limestone soil. The grapes are harvested according to varietal, crushed by foot and vinified separately via natural fermentation in demi-muids (600L capacity oak barrels) and 12 year old barrels. Half of the Maccabeu is vinified in stainless steel. Regular lees stirring and malolactic fermentation adds complexity. The wine is bottled unfiltered and unfined. 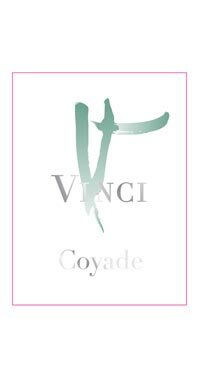 “Coyade” is the name of the mountain where the vines grow. The wine expresses a profound concenration of minerality from the soil found in this area of the Rousillon.